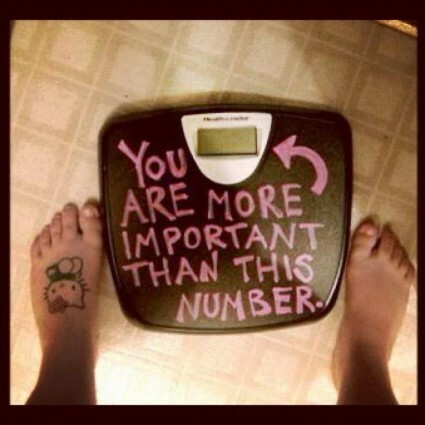 I talk to way too many people on a daily basis who have become addicted to measuring their weight on the scale and that being the only marker they use for body composition results. The scale has its place, but let me shed some light on other ways you can see and feel that your nutrition and fitness plan is working. Measurements are a great way to track progress. Getting your body fat percentage tested and having a couple areas on your body like your arms, waist, hips and thighs measured are great. Record these numbers at the beginning of your journey and measure every couple months. The scale might not be moving, but body fat mass could be decreasing, lean mean increasing and you might have lost an inch or two off your waist. This means you are going through a body re-composition phase. This is a good thing! How is your sleep these days? Just about everyone in America sleeps horrible or thinks that getting a quality number of hours is not that important. Well let me tell you, sleep is important for so many reasons. Sleep is when we recover and rebuild from that days training session. 7-8 even more hours are usually recommended, but you know how much you need. If you want to keep making gains in the gym you must get enough sleep. What causes bad sleep? Over training, stress, and undereating. How do we improve sleep quality? Cool and darken your room, no electronics before bed and eat more quality food throughout the day. The last marker I wanted to discuss is strength. It could just be me, but sometimes I feel like this goes unnoticed a lot. People come into the gym every day and hop on a piece of cardio or take a group class without the intent of getting stronger. Adding more weight to the bar works wonders. When the weight goes up this means you are building muscle and your body is changing! This last part may or may not be for some of the ladies out there.